Best priced home over 2000 sq. ft. ! 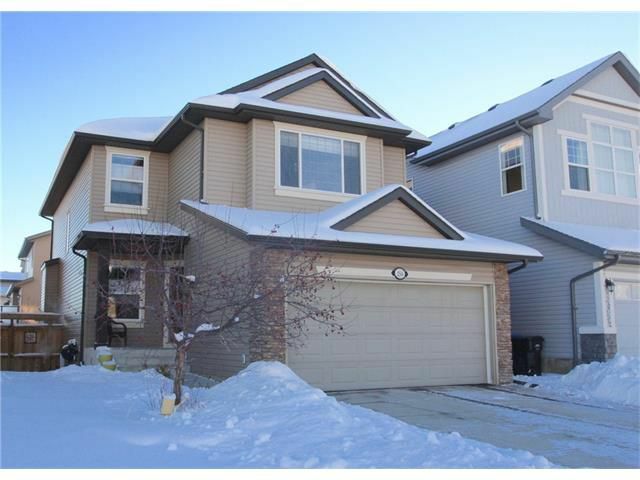 Gorgeous family home with 9 ft ceilings, air conditioning, heated garage, & central vacuum. Main floor is open concept with a private office, 2 pc bath, & laundry room. Kitchen features stainless steel appliances, touchless faucet, 5 burner gas stove, eating bar, & walk through pantry. The kitchen is open to the living room with a centered fireplace and dining room which has direct access to the back deck. Upstairs you will find a huge bonus room with built in speakers, vaulted ceilings, & a pocket door. Master bedroom has a large walk in closet & 4 pc en suite that features a corner soaker tub & glass surround shower. 2 additional bedrooms with ample closet space & 4 pc bath complete the upper floor. Enjoy your morning coffee on the large east facing deck that features a privacy wall. Beautifully landscaped & fenced in yard has a massive storage area under the deck for your seasonal belongings.